Two-thirds of U.S. doctors age 40 and under believe a fully connected healthcare environment will be achieved within the next five years. For those over 40, though, the proportion falls to 39 percent—and they just might be laughing at the younger generation’s naiveté. That’s one of my takeaways from a new study by MedData Group, a healthcare marketing company based in Topsfield, MA. The report surveyed 171 physicians across specialties and practices in February. 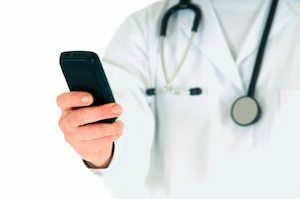 We’ve previously written about the firm’s surveys of mobile health adoption and doctors’ opinions on the future of connected health. Connected health refers to technologies such as interoperable electronic health records, patient-communication portals, remote health monitoring, health and wellness coaching services, and video telepresence systems. The correlation between age and predicted adoption rate of connected-health technologies may simply reflect a generational gap between doctors who grew up online and those who didn’t. It might also be the result of older physicians’ depth of experience with the healthcare bureaucracy. Either way, there is a clear divide in their expectations. As in previous surveys, the most-cited challenge to achieving a connected healthcare system was cost (see below). That was followed by issues like providers’ resistance to change, technological limitations, and privacy concerns. Nevertheless, several types of technologies were flagged as likely to be in wide adoption soon: they include patient portals, Web-based doctor consultation services, lifestyle and fitness coaching, and tele-health systems that connect patients and doctors (see below). Meanwhile, making electronic health records interoperable in real-time remains a problem for many constituents—especially patients and their doctors. But 29 percent of the doctors surveyed think that problem will be solved relatively soon.